Jessica Lynn Wiebe is an artist participating in this year’s Uncommon Art. She is also a veteran, who has completed two tours in Afghanistan. 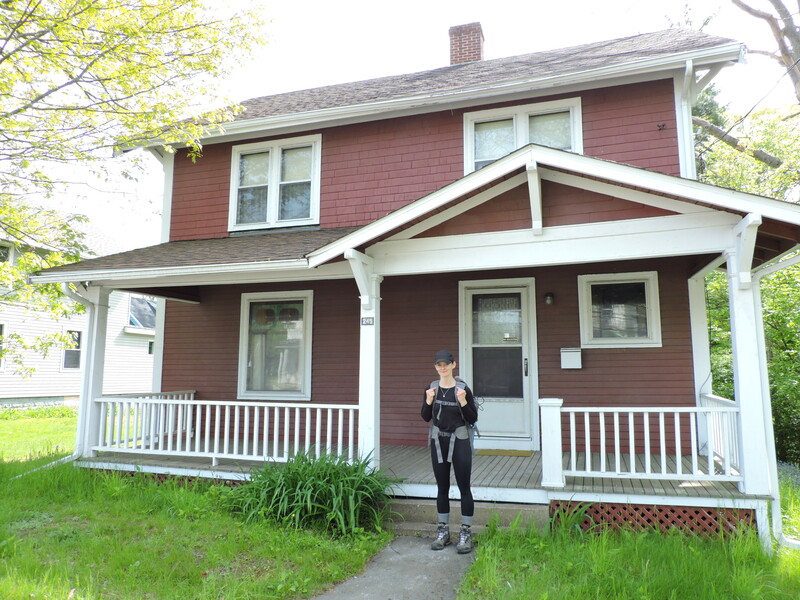 Thursday May 25th Wiebe and a group of supporters set out from Camp Aldershot in the North End of Kentville to walk to the Acadia University War Memorial. Wiebe who is also an Acadia alumni felt too many memorials become invisible. So, around the two war memorials outside the old gym she is installing two walls of sandbags. One for each world war. On her 14k walk from the base to the university she is carrying a cement sandbag. The weight and the walk are what WWII recruits were required to carry and travel. In front of my grandfather’s house. Walking down Gallows Hill towards the DAR Station. I photographed Wiebe outside the house my grandfather built on the top of Gallows Hill in Kentville. In July 1940 my father crossed this verandah and the single polished stone slab that is the short front walk. He walked down Gallows Hill, across the bridge over the Cornwallis River to the DAR train station just beyond. It was a walk he knew well. My grandfather and father were both railway men. For years it was their walk to work. On that July day his work was different. 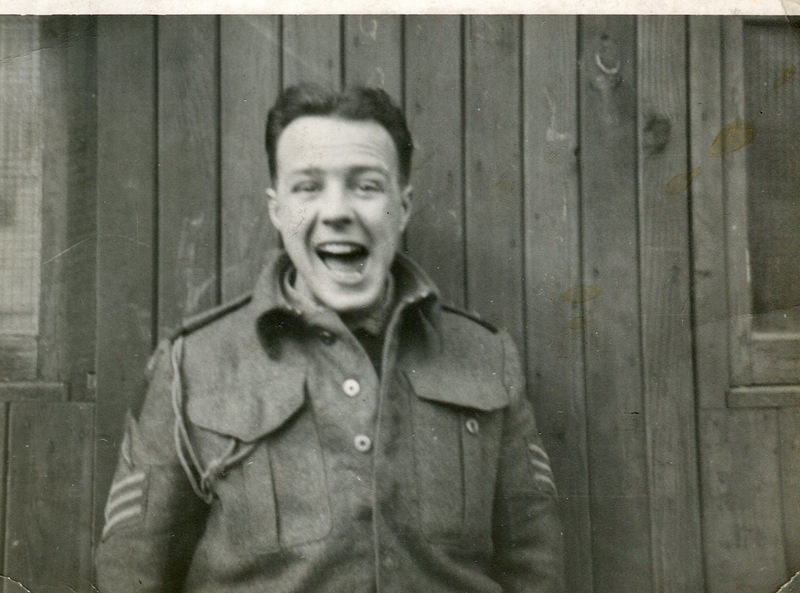 Instead of walking to the round house, he boarded the train for the journey to Petawawa for training. From there he went to England. He eventually fought his way up the boot of Italy as part of the Italian Campaign, then across France to Belgium, participated in the liberation of The Netherlands and into Germany for the victory. In Petawawa before being shipped overseas for six years of service. We were fortunate he returned to the house on the hill in time for Christmas 1945.